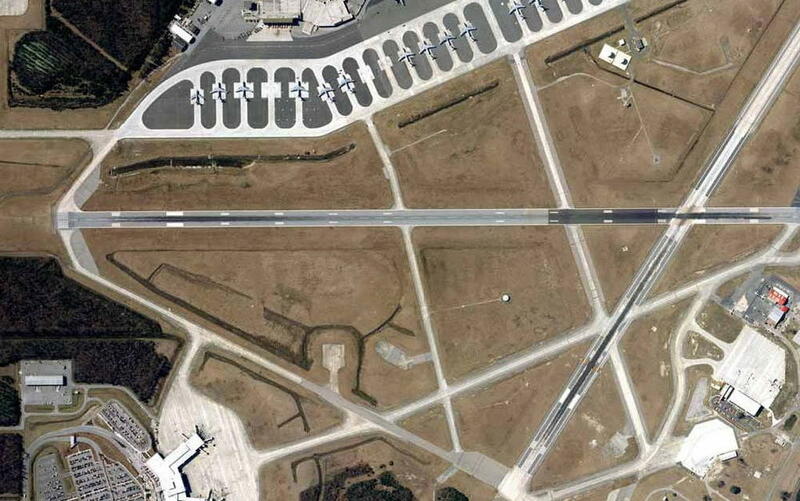 The Repair Runway 03/21 project involves complete reconstruction of the secondary runway at Charleston Air Force Base. The 7000 feet by 150 feet runway is to be reconstructed with new 15 inch thick concrete pavement with a cement stabilized drainage layer and cement stabilized subgrade. The runway will be equipped with new edge lighting, threshold lighting and runway signage. The new runway will be fitted with new paved overruns at each runway end. Special provisions were included in the project to construct the intersection with the primary runway 15-33. Work at this intersection was accomplished in a fast track fashion at night to insure that there is minimal impact to current military and commercial aircraft traffic.